Today we are interviewing Veronica Grey and John John Florence, authors of the game-changing book Healthy, Wealthy and Wise. 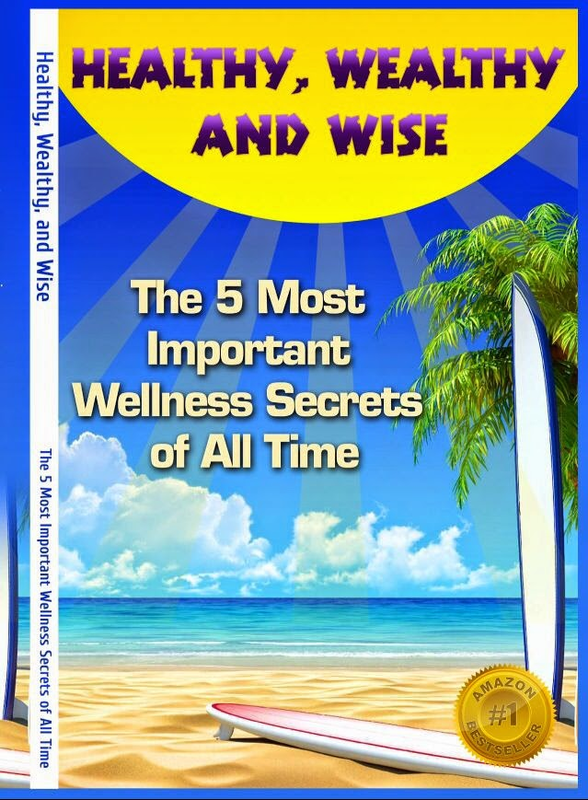 Describe the purpose of Healthy, Wealthy, and Wise in a few sentences. Veronica: if I had a true religion it would be surfing. Not to be sacrilegious but I kneel at the church of John John's abs. Even though John John Florence is currently the #1 surfer in the world having won the 2014 Surfer Poll Awards, knocking long reigning Kelly Slater off the throne, you don't have to be a surfer to have this book transform you so completely. It debuted at #1 on Amazon all around the world and if you read the reviews, it is mindblowing and humbling at the same time. The planet needs a miracle right now and this book MIGHT be at least, a bandage. Or CPR. What made you decide to donate proceeds from Healthy, Wealthy, and Wise to charity? If you ever watch the free documentary online titled, "Worst Shark Attack Ever" you would immediately see why. It stars Leonardo DiCaprio, The Cure, and MGMT.